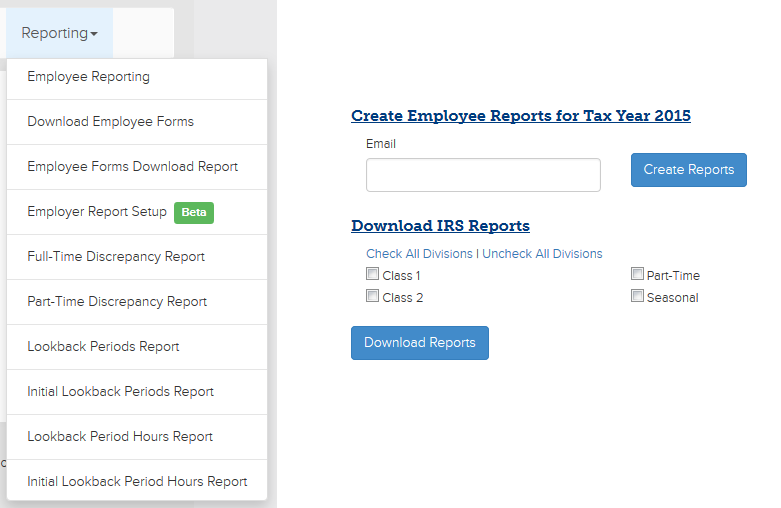 This ACAManager release allows for Updates to the Employer 1094-C form as well as the ability to edit both the employer 1094-C as well as the employee 1094-C forms. Lines 36 - 65 have been updated to include the dash in the EIN where applicable. We have added an “Edit” button next to the Download button for the Employer 1094 form. Upon clicking the “Edit” button, you will be taken to a series of pages that will be auto-populated with the information currently reflected on the 1094-C form available for downloading. If any changes are made and saved, they will then be reflected on the form. This can be found under the “Reporting” tab on the “Employer Report Setup” page. 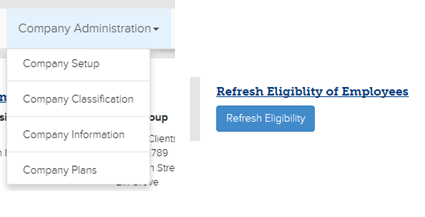 The only way to restore the form to its original state as generated by ACAManager is to click the “Refresh Eligibility” button located under the Company Administration tab on the Company Information page. 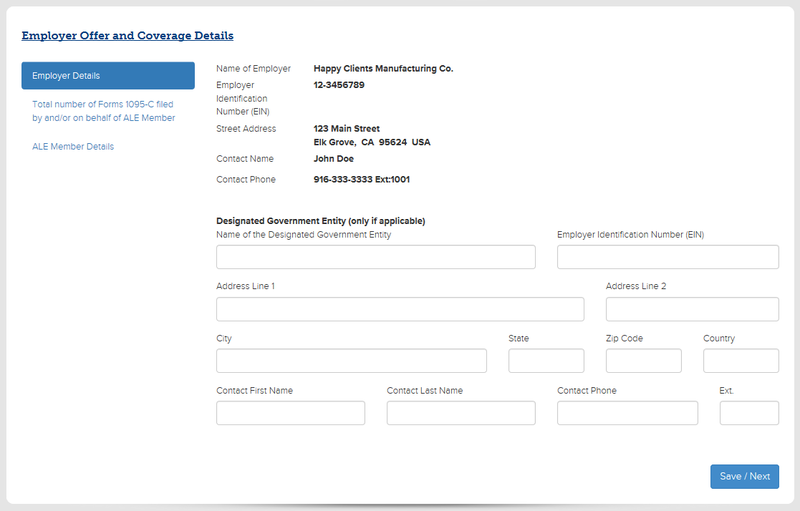 For this first tab, updates to the Employer Name, EIN, and contact reflected on the form should be made in the benefitsCONNECT system and would be reflected immediately. The system will default to using the General Company Contact, if no General Company Contact is provided the system will use the HR/Benefits Contact. If neither contact type is provided in the benefitsCONNECT system, the contact information will be blank. There has been space provided to enter a Designated Government Entity if desired (and if applicable). If nothing is entered, it will remain blank. After making any necessary adjustments, click Save/Next and proceed to next tab. If there is no change to this page, click Save/Next and proceed to next tab. Whether the 1094-C form being generated by ACAManager is or is not the authoritative transmittal form for the group can be selected (or de-selected) on this page. Line 18 will always reflect the amount of forms being generated by the system and will not be an editable field. However, if the group will be filing forms independently of ACAManager, they have the opportunity to update that on this page. Whatever number is entered here will be added to the total number of forms generated by ACAManager and reflected on Line 20 of the 1094-C form. This tab will allow for any and/or all of the Certifications of Eligibility to be selected (or de-selected) alone with updating all of Part III of the 1094-C form: ALE Member Information – Monthly. 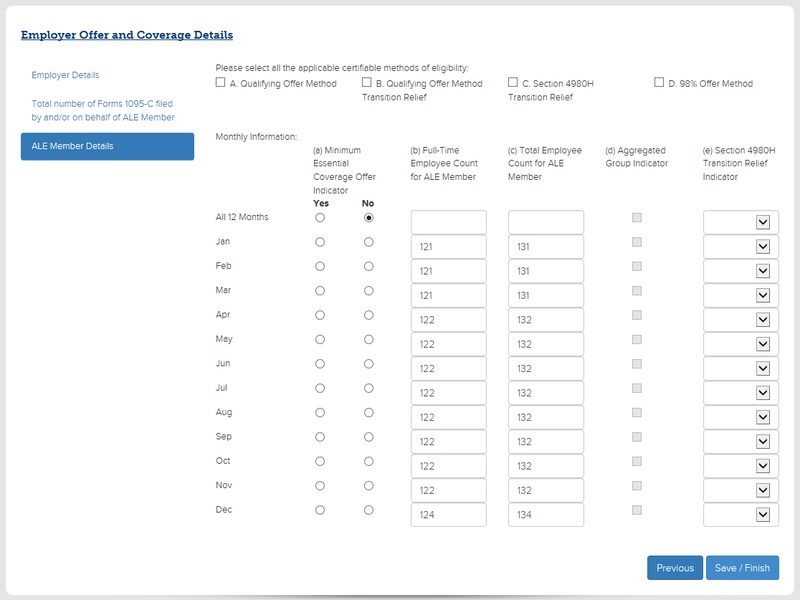 The Monthly Information fields can be edited for columns (a), (b), (c), and (e). Column (d) will only available for editing if the group/company is part of a Control Group (whether setup as multiple companies in the benefitsCONNECT system or one company with multiple divisions having differing EINs) and set as such in ACAManager. After making any necessary adjustments, click Save/Finish. If there is no change to this page, click Save/Finish. If the group is a Control Group, the button will say “Save/Next”. This section will show all the other members of the Control group and their respective EINs. Changes to the Company Name or EIN must be made in the benefitsCONNECT system. We have exchanged the “Profile” button previously available on the Employee List for IRS Reporting for an “Edit” button. This will now allow for the codes to be modified while still adhering to ACAManager’s interpretation of the codes. That is to say, if an employee is showing a 1H for a month, but the expected code is 1A the system will allow that change. However, it will not allow for a Safe Harbor code to be populated if code 1A is reflected. Initially, the edit page will reflect the current codes populating on the Employee’s 1095-C form. If there is information populated in the “All 12 Months” column, the columns for the months themselves will not be editable. Likewise, if there is information in any of the months columns, the “All 12 Months” column will not be editable. In order to allow for editing, the fields must be changed to “blank”. 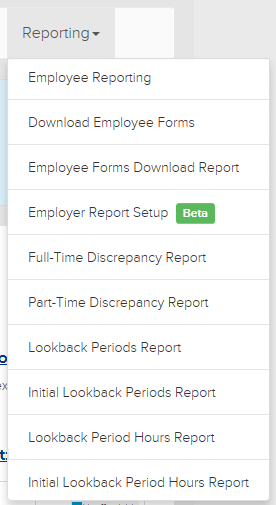 After all updates have been made, click “Save” and the newly entered codes will be reflected in the Employee Reporting area for that specific employee. In order to see the changes reflected in the Download Employee Forms section, enter an email address and click “Create Reports” (even if reports have already been created, as shown below, in order for the new changes to be reflected, it is necessary to “Create Reports” again).